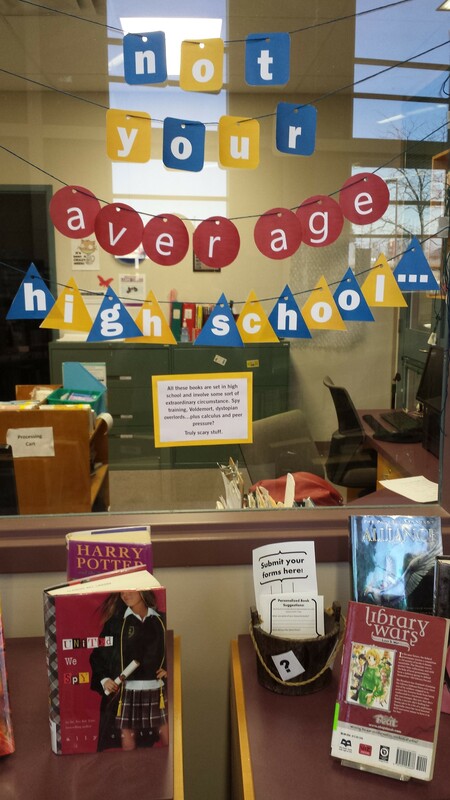 This display highlights one of the most appealing aspects in Teen Fiction: unusual high schools. The brilliance in these books is that they take an ordinary experience that almost every teen can relate to, and twists it up. Sprinkles magic on it. Adds some vampires. Throws in some spies and mini skirts. These books are set in high school (sometimes a prep or boarding school), and all involve some sort of extraordinary circumstance. Viral diseases, surprising magical powers, dystopian overlords…plus calculus and peer pressure? Scary stuff. This list includes a mixture of genres, tied together by their school setting. When designing displays for teens, we should be working towards this multi-genre theme – show young readers the non-obvious similarities between books. Inspire them to read outside their comfort zone, without telling them to read outside their comfort zone. 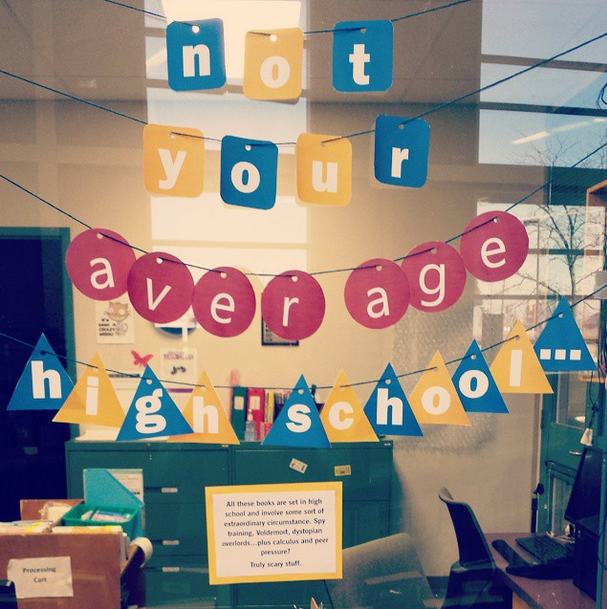 What are your favourite YA not your average high school novels?